The weather, work and everything else seemed to align nicely for us yesterday. Adrian is home after almost three weeks away in the UK, the sun was out after a frosty start and having done over an hour of weeding (me) and cutting back and tidying in the potager (Adrian), plus hung the washing out and enjoyed lunch in the garden, we got the bikes out. This was my first outdoor ride of 2017, so officially the start of my Tour de Rêves training, and I was worried my legs would feel like jelly. 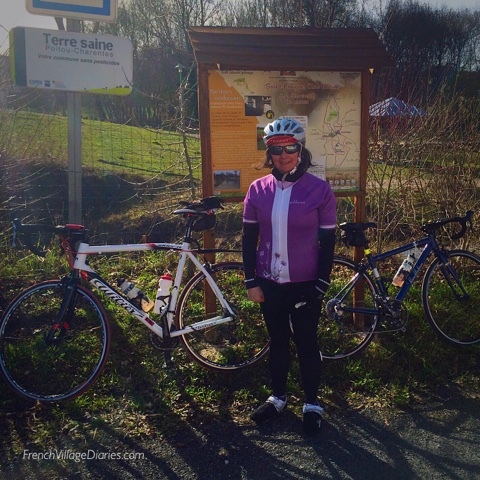 Adrian planned a local route that in 36kms took us through seven neighbouring villages and saw us cycling underneath wind turbines and alongside Cognac vineyards that were already neatly pruned for the new season. Our midway point, where I was refuelled with a muesli bar, was in the village of St Fraigne whose church of the Notre Dame (Our Lady) hides a special secret. 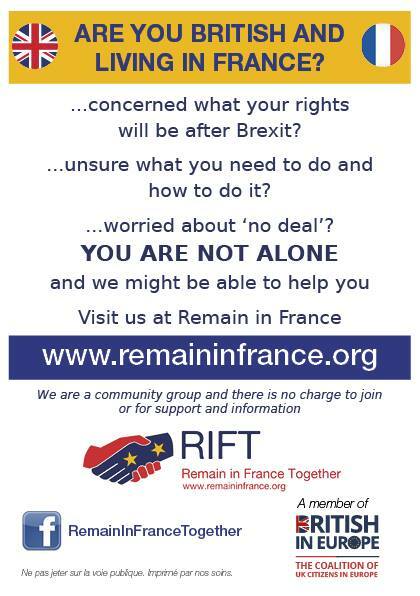 The small commune of St Fraigne is in the Charente, just over the Deux-Sèvres border, and has around 450 residents. The church, originally a priory that dates back to the 12th Century, was rebuilt in the late 1860’s, but it was in the late 1940’s that it became rather special. 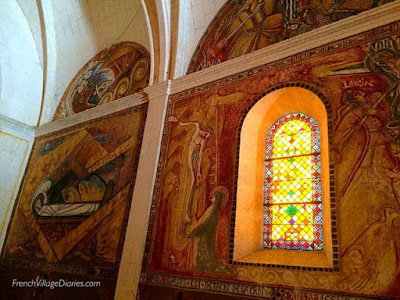 In 1944 the artist and master glassmaker Louis Mazetier, who completed many murals, stained glass windows and mosaics in churches all over France, came to St Fraigne with his wife to create a stained glass window dedicated to the Virgin Mary. 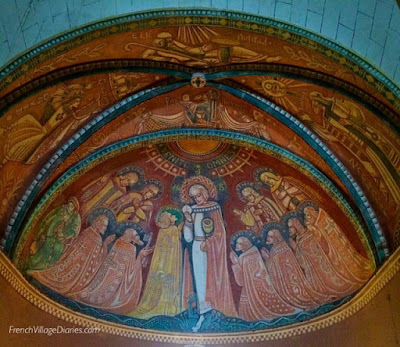 The parish priest then commissioned him to paint the vaulted ceiling in the choir as well. 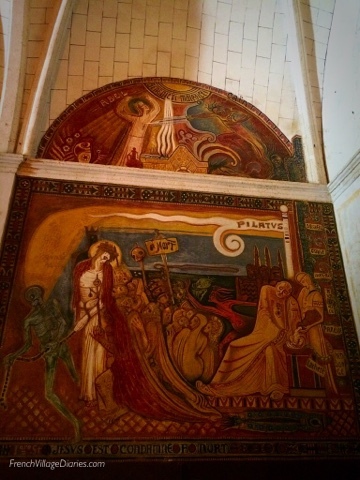 Sadly, while he was working on the church his wife died, so in her memory he created a unique painted masterpiece of the Stations of the Cross throughout the church. Painted mainly in red ochre it is in many different styles that all happened as the inspiration led him. This was his last completed work and has been classified as a monuments historiques since 1999. Louis died in St Fraigne, in 1952, a year after finishing the decoration of the church. To see such huge works of art in a small space is quite overwhelming and I hope my photos have done them justice. On one of my recent visits to the church I met a retired French man who was revisiting the area with his wife. As a young child he regularly attended mass with his grandmère and has never forgotten the images on the walls that he says terrified him every Sunday. Looking closely, although they are stunning, I can see how disturbing they must have seemed to a young boy. 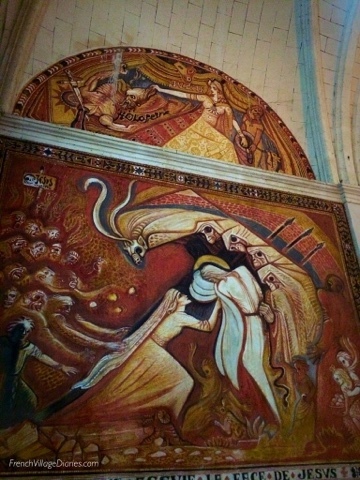 While the art in this church is certainly unique, the discovery of something like this in rural France isn’t. 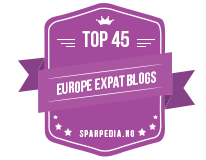 That is part of the beauty of discovering France by bike; even the smallest village can have a treasure just waiting to be found. 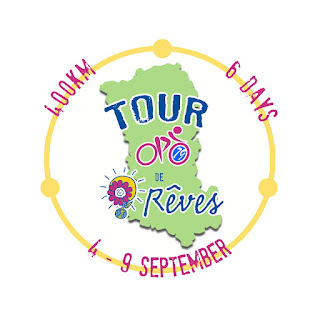 This makes me even more excited for September and our charity tour of the Deux-Sèvres by bike (Tour de Rêves), where there will be plenty more small villages and their secrets to discover. 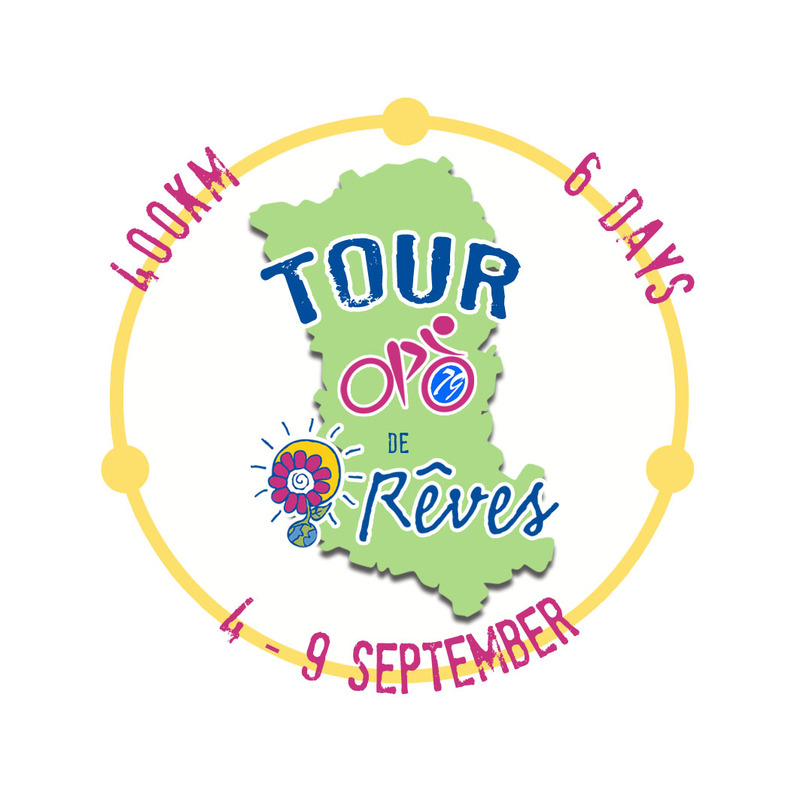 You can follow our training progress on our Tour de Rêves Facebook page here. 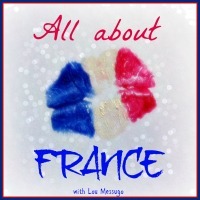 This blog has been linked to All About France at Lou Messugo.